Keep residents informed with centralized communication tools like email, text, voice, and real-time newsfeed announcements. 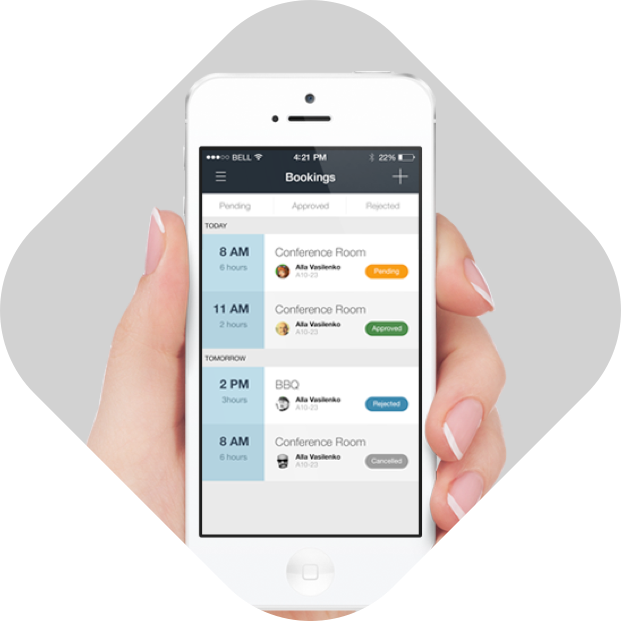 Streamline daily tasks in one central place for easy management of online payments, service requests, amenity bookings and more. Keep your residents and properties safe with security solutions tailored to your community’s unique needs. 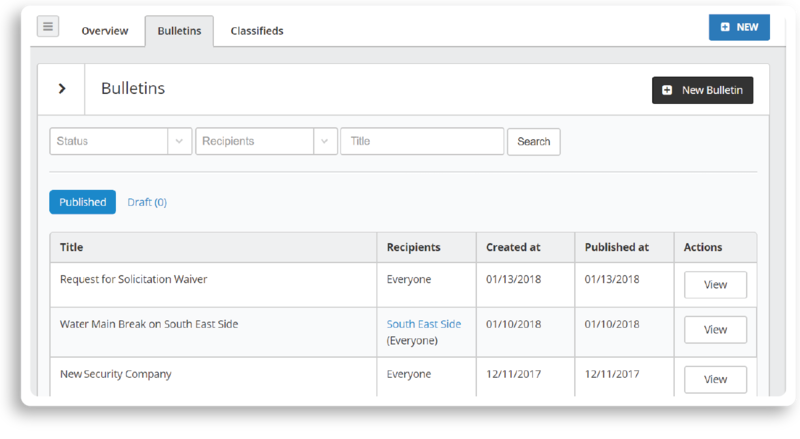 Provide your residents with a community resource hub that offers instant access to management announcements, maintenance updates, important documents, and a calendar of events. Through the mobile app, residents can reserve amenities, submit service and parking requests, make payments and more. 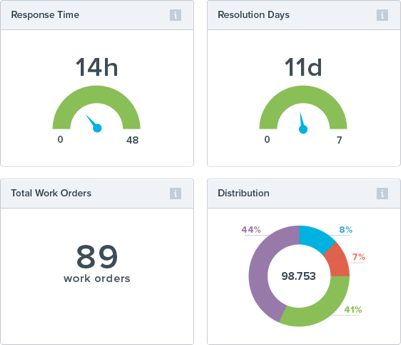 Manage daily tasks and multiple buildings efficiently through the centralized management dashboard. With a single login, managers can approve amenity and service requests, post announcements, and get board approvals in seconds. With integration into your accounting system, you can easily collect online payments and only have to manage one directory. Enhance operations with concierge services designed specifically for Condo and High-Rise managers. Quickly process visitors, issue parking permits for guests and residents, and track package deliveries with ease. 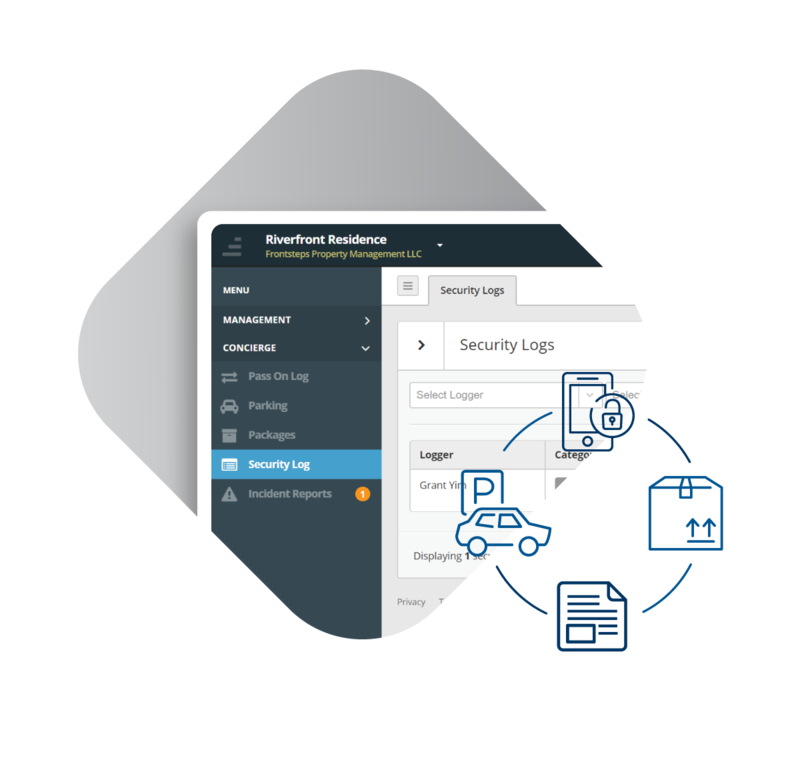 Plus, with advanced reporting, you can improve operations by analyzing response times, manager workloads, and security personnel logs. Ensure your residents are informed and engaged through email, text, voice, and newsfeed notifications. 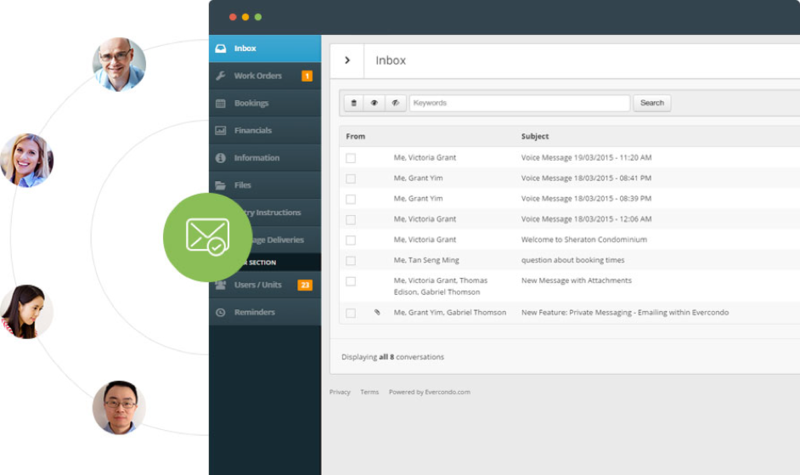 You and your team can message residents and process voicemails from a centralized inbox, keeping everyone organized and in one place. You’ll be able to track resident activity and maintain transparency within the community. Enhance security by tracking the visitors, residents, and vendors who enter your community. 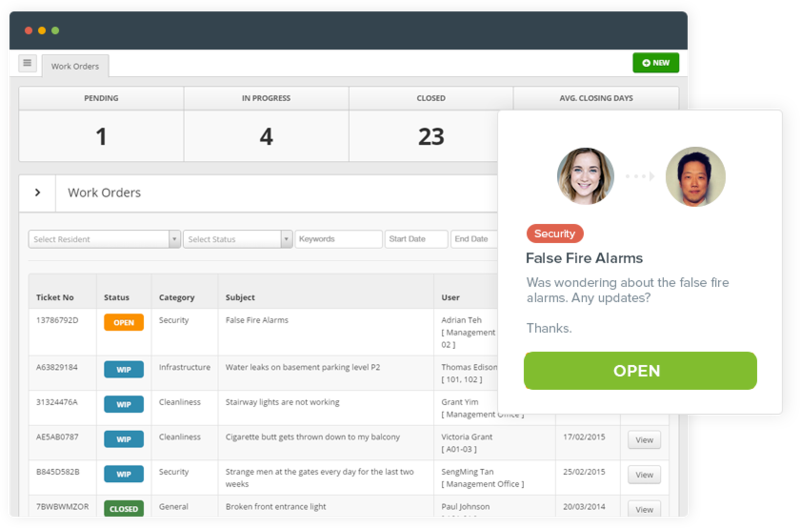 Quickly capture visitor details like vehicle description, entry and exit time, and vendor profile. Make it easy to determine who can access which parts of your community with simplified acccess control.